Most of you had a really hard time picking your favourite although polka dots kept coming up. Me too, I do love my polka dots. 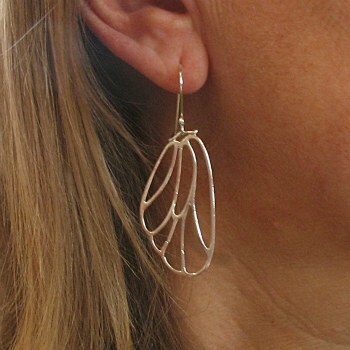 The winner of the April giveaway – choose a pair of earrings – is Wendy Burch Jones! Wendy said, “Asking me to choose my favourite earrings from your collection is like asking a baby which of their toys they most like to chew on – the answer: all of them!” She did narrow it down to my Fly Away earrings, a personal favourite of mine because they are so light weight you don’t even notice them on. Congrats Wendy. The question is, will these still be her favourites when she sees all the new earrings I’m making? Stay tuned.